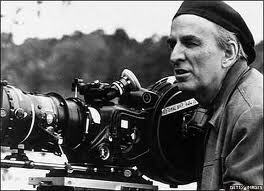 Ingmar Bergman (1918-2007) is considered by many prominent film directors and critics (and me) to be the greatest film-maker in cinema history. He directed 63 films, from 1946-2003, and wrote 68 screenplays, including for all of his own films. He was even more active as a theatre director, first in Malmö and then Stockholm, and initially directed many of his films only during the theatre’s ‘off-season’. His films are often considered quite cerebral and sober, if not outright depressing (Bergman himself even said this in his last interview in 2004). They often deal with existential questions of mortality, loneliness, religious faith, and family relationships. However, there is always to be found intense emotion, and exploration and celebration of all aspects of the human condition. His visual mastery and cinematography only adds to the profundity and intensity of his scripts. In this post, I will rank and discuss 24 of his films, which I think should be considered his “best” 24. The rest of his oeuvre is obscure, and difficult to find on the internet– either his early films of the ’40’s (the earliest movie of my list, from 1955, is actually his 15th), or productions made for Swedish television. It was hard to decide on a specific ‘rank’ for each film, and it would be better to consider them to be grouped in ‘tiers’ of 3-5 films each. This colorful epic was both Bergman’s return to Sweden after a self-imposed 8-year exile (he fled in a rage after being falsely accused of tax evasion and suffered a breakdown), and his last feature film (though he continued to make television films and direct the theatre). Max von Sydow is still furious to this day for losing out on the role of the evil bishop because his agent rejected the part without consulting the actor. Liv Ullman also greatly upset Bergman by turning down the role of Emilie Ekdahl, which he called her “birthright”. It was the last of Björnstrand’s performances in a Bergman film (he died two years later). The richness of the scenery, costumes, and characters make this the liveliest, and most life-affirming, of Bergman’s work. There is a feature-length documentary, “The Making of Fanny and Alexander”, which shows the master happily at work behind the scenes. This was one of three of his films to win the ‘Best Foreign Film’ Oscar. It is also the first of at least 6 of his films to be shot on the captivating island of Fårö, where he would buy a house and live the rest of his life (except during his exile). This film is the first of an apparent trilogy of ‘faith’, in which the central theme is the existence of God. It is full of religious imagery, and ends with a powerful discussion between the Father and the Son characters, in which the Father gives an account of the ‘Argument from Love’ to reassure the fears of the Son. “Suddenly the emptiness turns into abundance, and despair into life. It’s like a reprieve…” The disconnect between these words and all of the preceding action only confirms the ambiguity of the film’s message (and our place in the world). Bergman considered this one of his three best films (along with “Cries & Whispers” and “Winter Light”). It is his most ‘experimental’ film, and also marks the first appearance by Liv Ullman, who would appear in 10 of his films (and gave birth to a child fathered by Bergman the same year of this film–the child herself, Linn Ullman, would later appear in two of her father’s films). The action is almost entirely limited to the haunting dialogue of Ullman’s and Bibi Andersson’s characters on an isolated house on Fårö Island. There are many themes and interpretations either overt or just under the surface, and I cannot say that I understand it all. But it is psychologically intense and almost breathtaking at times. The second of his ‘faith trilogy’, this is also one of Bergman’s most personal. His father was a Lutheran minister and strict disciplinarian, though the younger Bergman lost his faith at the age of 8. It was only during the making of this movie that Bergman came to terms with his guilty conscience for his lack of faith. Gunnar Björnstrand delivers another understated, but excellent performance as the minister of a small church who is undergoing a deep existential crisis. The dialogue between Björnstrand and another Bergman regular, Ingrid Thulin (who appeared in 10 films), is powerful and shows the depth of the characters. The hunchbacked church ward questions the minister about the Passion of Christ, wondering how such relatively short physical suffering could have redeemed the world. He realizes that God’s rejection and silence towards his Son must have been the greatest part of the suffering, to which the minister can only weakly reply, “Yes.” The film, which began with the ending of a noon mass, ends with the beginning of an afternoon mass with Thulin as the only attendee. This is Bergman’s only ‘war’ film. Two characters, von Sydow and Ullman, live on a quiet farm on an island and occasionally sell fresh berries on the mainland. They find themselves caught in the middle of a civil war which knocks them out of their blissful ignorance of the outside world. 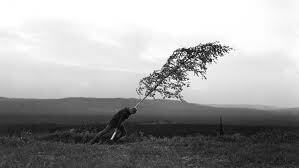 There is great black and white cinematography, which is an underrated mainstay of all Bergman films. 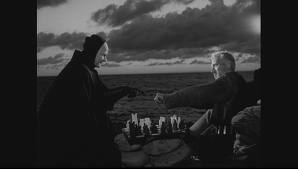 This masterpiece was released only 10 months after The Seventh Seal. It stars Victor Sjöström (one of Bergman’s greatest film influences), in his last performance, as a 78-year-old, grumpy and egotistical doctor traveling to across the country to receive an honorary degree from his old university. Along the way he meets vivacious young hitchhikers, reminisces about his old childhood country house, visits his ancient and pitiless mother, has dreams and nightmares, thinks about his own death, and finds himself in the middle of a conflict between his estranged son and his daughter-in-law. By the time he arrives to receive his award, he has already changed quite a bit, as have we, the viewers. This five-hour production was originally a six-part TV miniseries, which won many awards and also dramatically increased the divorce rate and number of marriage consultants in Sweden (according to Bergman). It portrays the changing relationship of husband and wife, Erland Josephson and Liv Ullman, over the course of 10 years. Ullman especially delivers a typically impressive performance, which Bergman highlights with his penchant for facial close-ups and intense dialogue. This medieval morality play/anti-fairy tale was the first ‘Best Foreign Film’ winner of his career. Von Sydow leads a great cast as the wealthy and doting father of a spoiled young girl. The girl goes off with her jealous maid (or half-sister?) into the forest to deliver flowers to the church. The beautiful landscapes and the typical use of shadows in the forest add to the mystery and power of the film. Director Ang Lee has cited this film as the reason he wanted to be a film-maker. This was Bergman’s first worldwide success, and also one of his most light-hearted films. A funny and colorful series of relationships plays on similar themes as “A Midsummer Night’s Eve”. There is no way you cannot enjoy this one. The terminal condition of Agnes (Harriet Andersson, who was the first of Bergman’s many affairs with his leading actresses) leads to a bubbling up of intense, long-suppressed emotions from her two sisters (Ullman and Thulin), as well as the housemaid. Exquisite performances all around, but don’t watch it if you are going through your own emotional issues (advice that could possibly be applied to most Bergman films, though they are just as likely to help your condition as to make it worse). This is the only appearance of famous actress Ingrid Bergman (no relation) in Ingmar Bergman’s films. She plays a professional pianist and absentee mother of Ullman. Her visit to see her daughter stirs up a whirlwind of emotion, as well as some great music. Von Sydow has an impressive screen presence even with hardly any dialogue. He is the central figure in a struggling group of traveling magicians. The local gentry, led by rational doctor Björnstrand, decide to expose the group as charlatans, but with unintended results. Great all-around performances by everyone (as usual). Von Sydow is a solitary widower on Fårö, where he encounters another local couple (Josephson and Andersson) and their relative, Anna (Ullman). Anna is a disturbed person, and at one point she recounts a dream she had, which is actually a continuation of the vague ending of Bergman’s previous movie, “Shame”. This has been called Bergman’s only horror film, though it hardly qualifies for such a category. It is quite macabre, but in an almost comical way. It is mostly an experiment in light surrealism, while also exploring his common themes of madness and human relationships. 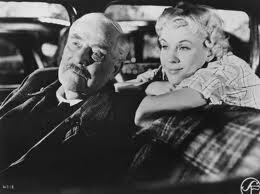 This TV production was the sequel to “Scenes from a Marriage”, and also Bergman’s last work (he was 84 when he made it). It is led by typically strong performances by the now-aged Josephson and Ullman, and has a great soundtrack of Bach’s Cello Suites. An elderly theatre director (Josephson) is confronted backstage by his young new lead actress (Lena Olin). During the conversation, he reminisces about similar a past dialogue with the mother of the actress (Thulin). This strange piece is symbolic of the act of drama itself, as a small acting troupe is summoned before a bureaucrat in a foreign country to explain a controversial performance they have just delivered on the stage. The climax emphasizes the ancient Dionysian power of drama. The Mozart opera was directed by Bergman in a nice TV production. The sets and cast are great, and the minor changes Bergman makes actually improve the story, in my opinion (such as making Sarastro the father, rather than the lover, of Pamina). Three women share a room in the hospital maternity ward, each in a different stage of life-giving. The three lead actresses are typically great, but the story is a bit weak/shallow for Bergman. Ullman plays (yet again) a troubled character, this time a psychiatrist who is herself having a mental/nervous breakdown. Josephson is her colleague/husband. The inferiority of this film cannot be held against Bergman, since it was written by him and Erland Josephson to thumb their noses at critics. A Fellini-esque harem of women surrounds a mysterious cello maestro, and a pretentious critic aspires to gain access to the maestro to write his biography. Taken as a joke, it is watchable. This one, however (as far as I can tell), was not a joke, and is not watchable. It is one of two English-language films made by Bergman, and even von Sydow and Bibi Andersson cannot rescue it from the depths of mediocrity wrought by the unfortunate (and out-of-his-league) presence of Elliott Gould.